Hickory Tree are a type of deciduous tree in the walnut family with large nuts and pinnately compound leaves. It produces a catkin - slim and cylindrical with near invisible or no petals - flower in the springtime which is small and yellow or green. They commonly grow up to 100 feet in height. Many species of hickory trees are found all over the world. There are 5-6 in China and India, around 12 in the United States, 4 in Mexico, and 2-4 in Canada. Hickories are very important economically for certain nuts produced - especially the pecan - and their timber. 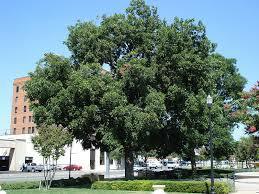 The Hickory Tree is an attractive tree that produces high branches that make it an ideal shade tree. The Hickory tree produces delicious and edible nuts at about 10 to 15 years of maturity it is a beautiful addition to any yard. The Hickory Tree is a deciduous tree that produces small, yellow-green catkins in the spring. The Hickory tree is an excellent addition to any home and is perfect for providing refreshing shade to your backyard. It even produces delicious nuts. If you have this tree in your yard, you will be sure to attract some wildlife friends such as squirrels. Hickory Trees Provides Shade. Hickory trees are a high-branching variety that often grows quite tall. 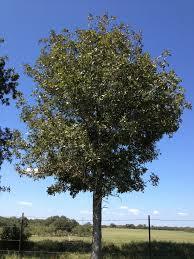 Hickory Tree is easy to care for the tree, and it tolerates most soil types. They have long and narrow leaves and an attractive, "shaggy" bark. For many people, hickory trees are highly symbolic of the eastern United States, where they grow wild. Because hickory trees can grow so tall and drop many nuts in the autumn, they are best planted away from structures, where they can be fully appreciated on their own. It is also a good idea to plant at least two trees so that they can pollinate one another. Hickory Trees grow to enormous heights. Hickory trees can make a beautiful tree to create a much needed shaded area on a lawn or landscape. Hickory Trees will become stately and huge trees when fully grown. Hickory trees will grow well and prefers moist well-drained soils but can also do good in clay, sandy and loamy soil conditions.